Ubisoft is always at its best when it’s experimental. Back when the Nintendo DS was a shiny new console, wowing people with Super Mario 64 in portable form, Ubisoft did something remarkably creative with its then-hot Prince of Persia franchise: it released a tactics strategy game set in the franchise’s universe. This game was not overly well received; over on Metacritic its score sits at 64. But I can’t say I agree with that consensus. This was a brilliant little game with a genuinely deep tactical system, and I wish we could see more of it. 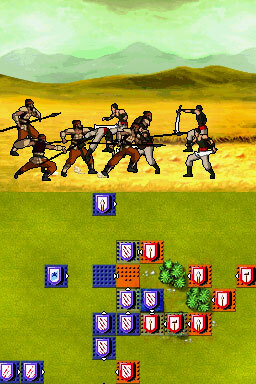 Battles of Prince of Persia, on the surface, looks rather similar to games like Advance Wars or Fire Emblem. In each level you’re looking down a map at two forces arrayed against one another, and they then take turns to manoeuvre around the battlefield and take swings at one another. 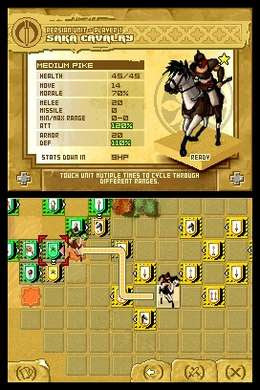 Unlike Advance Wars, however, Battles of Prince of Persia was complex. For one thing, orders were meted out through the use of cards. Players would build a deck of these cards, each with a range of different orders. Some were basic “move X number of units on your turn”, while others had additional beneficial effects on your units, or would place negative effects on the other side. You wouldn’t be able to move and attack with all of your units each turn, so you needed to be able to think through plans that would work across three or four different turns. Additionally, while Advance Wars had terrain factors to take into account, in Battles of Prince of Persia you would also need to take advantage of facing; each unit would face in a direction, and the penalties for being attacked in the flanks or rear was extreme. In most levels, to have any hope of victory, you’d need to take advantage of this and outmanoeuvre the other side. Finally, Battles of Prince of Persia also had a morale system. Units could flee from the battle, so you wouldn’t necessarily be able to count on a full-health unit lasting the distance. Understanding where the weaknesses of the units were was important - and for some units their cowardice made them far less useful than their other statistics might suggest. I spent hours upon hours playing this game, finding the interplay between the card game and deck building, with the on-field management of the units, to offer up rich strategic opportunities. The other thing that I found so compelling about the game was the setting, as I have always found Prince of Persia game settings fascinating. Yes, as you can see in the screens, Battles of Prince of Persia is not a brilliant looking game, in the objective sense of the word. However, it does have a board-game like aesthetic, with units that look like pieces moving around the board, and I will always have a soft spot for board games. And, simple as it is in Battles of Prince of Persia, I love the fantasy Middle Eastern aesthetic and soundscape. The sandy dunes, the bold colours, beautifully curved scimitars and traditional instruments from the region make for a powerfully immersive setting that catches me each and every time. This fascination came from a combination of 1001 Arabian Nights and films like Aladdin and the old Sinbads, and each time I play a game in that setting I’m transported to that exotic wonderland. It’s sad that very few game developers have any interest in setting a game in that fantasy Middle East. Ubisoft spun Prince of Persia into Assassin’s Creed, and then took that series to the whitest of the white locations you can imagine. I’ve written about it before, but I suspect the reason that the setting has become so unpopular is that it would be commercial suicide to release a game set in Arabia or Persia, given current real-world political tensions. Of course, that’s also a really, really good reason to make games in that setting. One of the most effective ways of all to de-escalate tension is to encourage a mutual exchange - and respect for - different cultures and ideas. People who find themselves fascinated by the Middle East - be that through fantasy or otherwise - are going to be far more open to the Middle East. 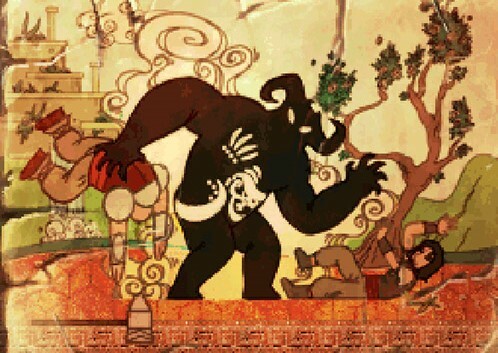 We get so little of the great works of art from the Middle East, and while the Prince of Persia series was assuredly a western take - and a fantasy one to boot - on the setting, it nonetheless encouraged people to enjoy the exotic setting and, perhaps, take a look at other works set in that space. I was recently replaying Battles of Prince of Persia and felt that it was a game released too soon. Were it to be released today it would be a free-to-play game on mobile, where you’d get additional decks of cards and units through the standard free-to-play systems. It might well have worked that way and had real longevity, as the game is highly competitive and would have worked wonderfully well as a competitive mobile game. It’s a pity that the game didn’t get a better run back on the ol’ faithful DS, but you never know - another developer may just pick up the idea and run with it sometime down the track.